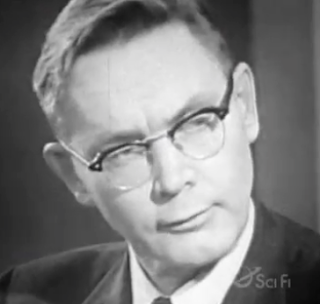 Dr. James Edward McDonald was an American physicist and historic ufologist. He independently researched UFOs during the 1950s and 60s until he passed in 1971 at the young age of 51. McDonald's interest in UFOs began after he spotted one in 1954. He and two meteorologists were driving through the Arizona dessert when they saw an unidentified flying object in the distance. McDonald argued that the UFO phenomenon was a very real thing and that science was missing a big chunk of opportunity in not giving it further scientific investigation. 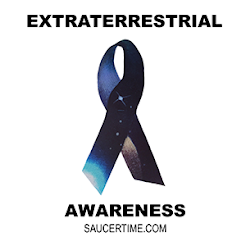 He felt that a UFO, even if not of extraterrestrial origin, is still a UAP (Unidentified Aerial Phenomena) and should be scientifically investigated as much as anything else. Discovering how UFO and UAP cases were being treated by scientists and the government was disturbing to McDonald. These important cases were being filtered to where only the ones that had explanations were being released publicly, while the other non explainable cases were kept completely secret. For example, if a UFO report could be attached to a plane, weather balloon or will-o'-the-whisp sighting, then the story would be released as ,"UFO was actually this..."
If a UFO report could not be solved with a common explanation. It was kept secret if possible and not revealed to the public at any time. This seems to be what Project Blue Book was in charge of. Project Blue Book was created by the US government in 1952 to scientifically study UFOs, but it seems like they did more covering up and PR control than anything else. According to McDonald, astronomer J. Allen Hynek, was the only scientist at the time studying UFOs for the US government. Hynek revealed that Project Blue Book was withholding all of the significant and outstanding UFO reports. If Hynek were to publicly reveal any of the reports himself, he would of been terminated from his position as consultant for Blue Book. Maybe some people thought McDonald was uncovering too much, because he was scrutinized at times for his pursue of information regarding UFOs and his goal to bring them to proper scientific studies. He uncovered a lot of truth that was being heavily concealed regarding the matter. In one public interview during the 60's , he states that the CIA made a law that if anyone in the Air Force releases top secret UFO information they could face a fine up to $10,000 or be placed in jail for 10 years. At the time, because there were so many UFO cases and reports being witnessed widely by the public, congress put together the Condon Committee. A committee developed in 1966 based at the University of Colorado at Boulder and was named after the Committee Chairman, physicist Dr. Edward Condon. The members were suppose to make thorough investigations into the UFO phenomenon. However, the Committee and it's chairman became questionable of it's true motives when Condon began making public comments to reporters with a dismissive attitude towards the subject matter. What I find strange is that even though McDonald was very qualified to be on the committee, they denied him membership. The Condon Committee soon closed not short after a controversy regarding a document that McDonald got a hold of. He publicly released it's information stating that the Condon Committee was informed to downplay UFO reports. It's last public statement in 1969 was given by Dr. Condon himself informing the public that UFOs were nothing exceptional and could be explained by either hoaxes or natural phenomenon. Further scientific research was not worth it and should be discouraged. Can you believe that?! The Condon Committee sounds a lot like the Citizen Hearing On Disclosure. It seems to have good intentions, but doesn't really get too far or find any sustainable answers. Although, it does give a public platform for people to tell their stories and experiences. McDonald continued his fight in bringing attention to scientific study of UFOs and UAPs. He delivered his lecture "Science in Default" in 1969 at The American Association for the Advancement of Science. Here is where McDonald's story takes a shocking turn for me. After reading up on all this information I discovered just two years after he gave that lecture, he killed himself! Apparently he died on his SECOND attempt to kill himself! His first attempt was not successful and he ended up blinding himself in one eye and was admitted to a psychiatric ward in Arizona. He started to gain vision again in his eye and was soon released from the psychiatric ward with plans to go back to teaching. But a few months later his body was found near a creek in Tucson next to a revolver gun and a suicide note. This makes such a strange conclusion to his biography. After being basically a pioneer in scientific UFO research he abruptly ends his own life. I don't know what the suicide note said, but why did he do it? It makes you wonder...is there a conspiracy with his death? Was he revealing too much information about UFOs to the public and someone didn't like it? Or did studying UFOs and the information he found out make him loose his mind? I will never know, but in his short lived life, he stood up for the truth and uncovered so much valuable information as to what exactly was or is still being hidden from the public.